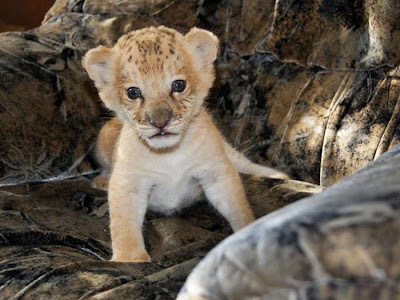 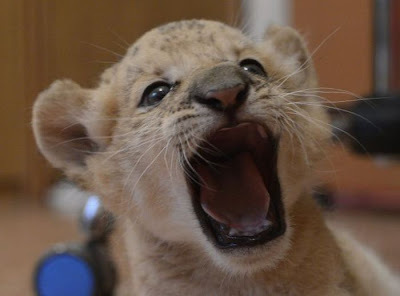 With an African lion father and a liger mother (cross between a lion and a tiger), Kiara is the world’s first ever Liliger cat! 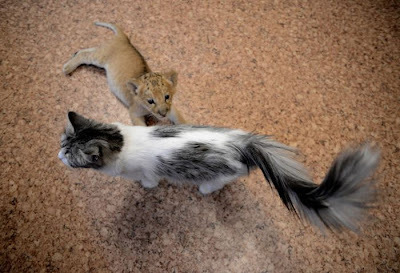 Born in a Russian Zoo, the feline is being raised by an ordinary house cat as her mother was unable to produce enough milk. 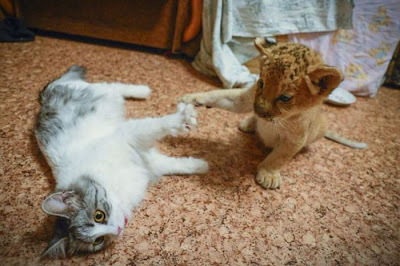 Although the practice of breeding hybrid cats has been criticised, authorities report that the cat will remain living at the zoo and therefore poses no threat. 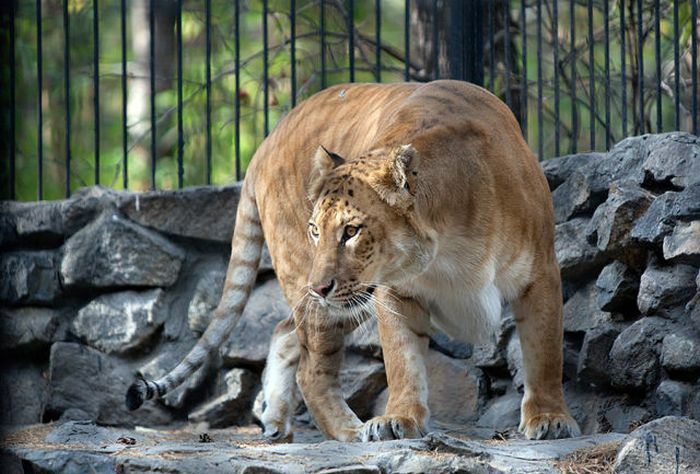 Scientists wonder if Kiara will be able to reproduce when fully grown. 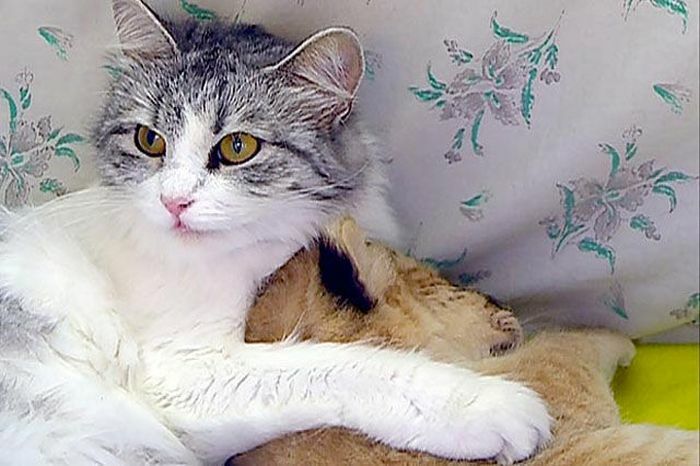 Most hybrid species are unable to reproduce. 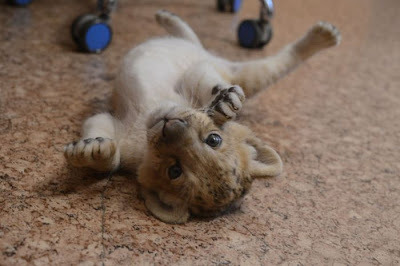 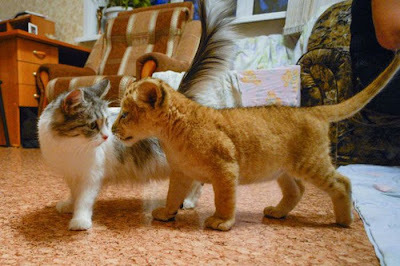 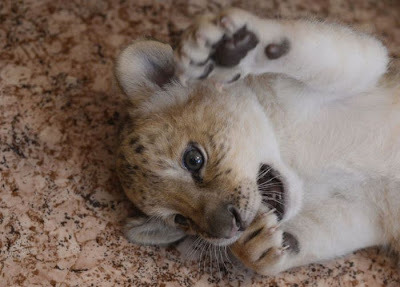 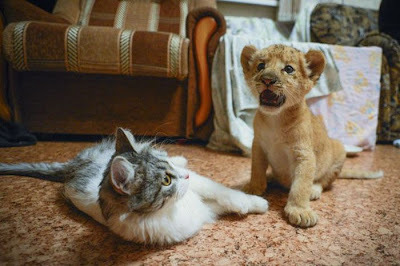 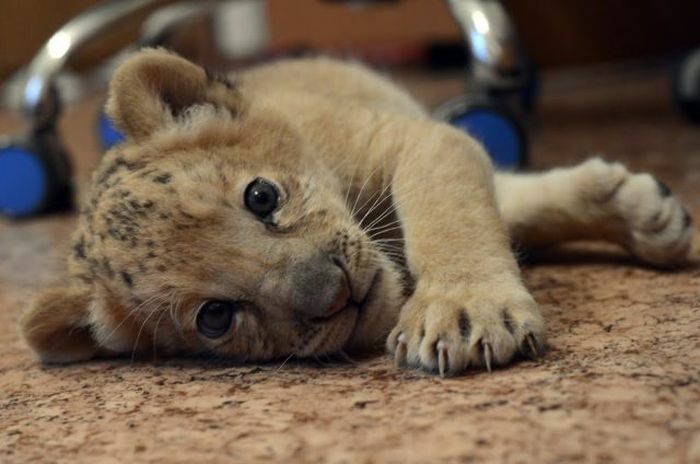 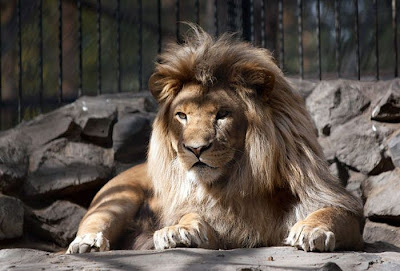 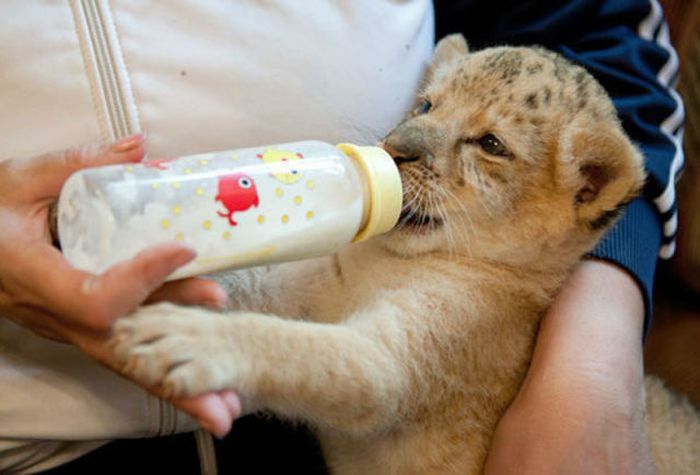 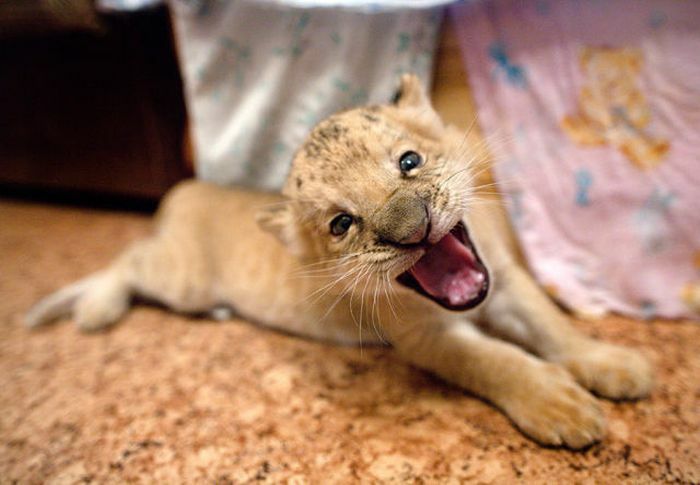 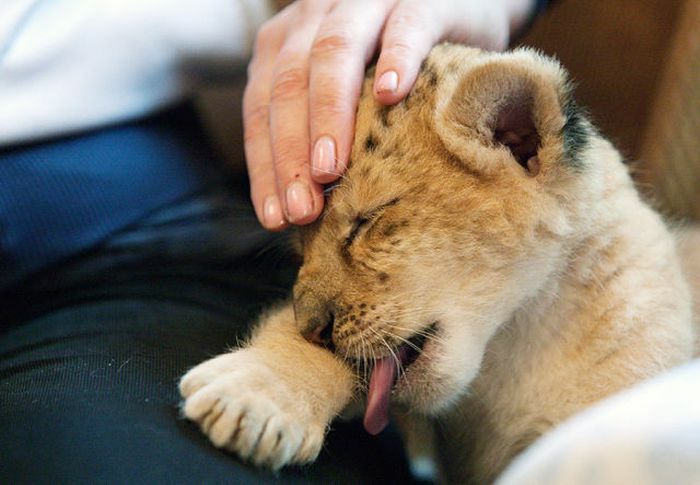 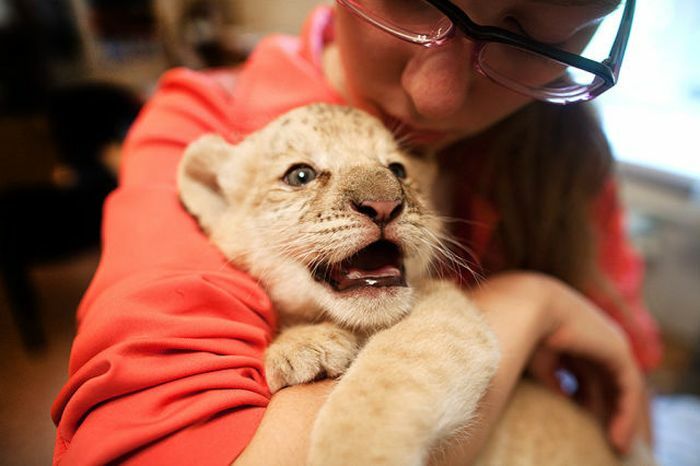 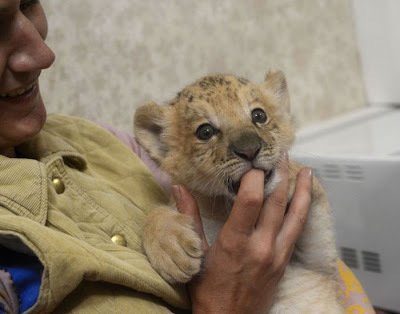 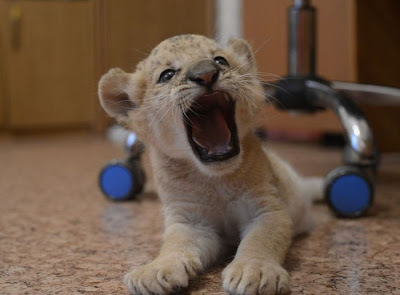 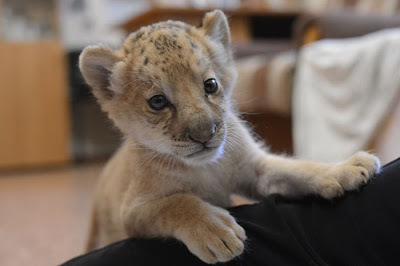 When it comes to ligers, females are able to give birth, while males are sterile, a Novosibirsk zoo specialist said.